If your kids regularly plop down on the sofa to watch kids' shows on TV, you may want to think about ways of minimizing their exposure to commercials. We all know that ads can be pretty hard to resist, whether the product being marketed is clothing, a tech gadget, or food. Even grownups may see or hear an ad and think, "Ooh, I'd really like to have that! "​ So imagine how tough it must be for children to see an one and have the willpower to resist the temptation of a new toy or yummy-looking snack. And while we know how strong the pull of ads can be, parents may not realize just how incredibly powerful and effective these messages really are. Ads for junk food can increase the amount of unhealthy food choices kids make within as little as 30 minutes after exposure to the advertisements, says research published in the July 2016 issue of the journal Obesity Reviews. Researchers at McMaster University, in Canada, assessed 29 studies that examined the effects of unhealthy food and drinks marketing and found that the ads increased the amount of calories kids ate and their preference for unhealthy food shortly after they viewed the commercials. "Our meta-analysis showed that in children exposed to unhealthy dietary marketing, dietary intake significantly increased during or shortly after exposure to advertisements," says Behnam Sadeghirad, lead author of the study and a PhD student in clinical epidemiology and biostatistics at McMaster University. 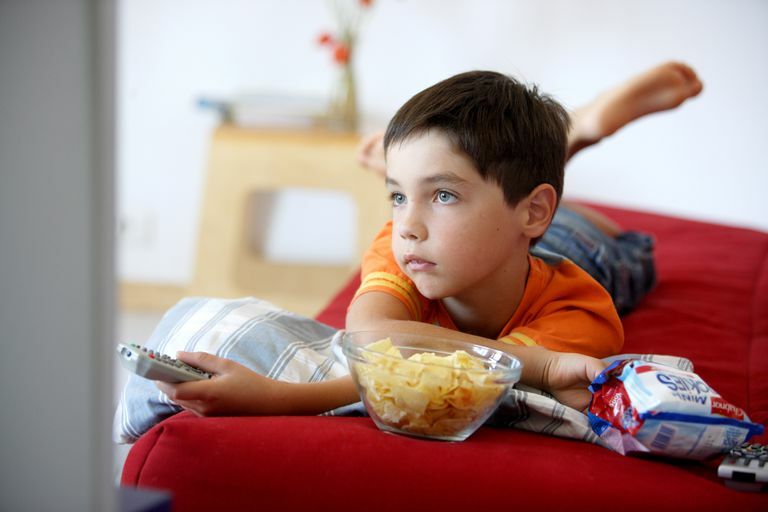 The researchers note that recent studies have shown that kids are exposed to an average of five food ads per hour, and that unhealthy foods account for more than 80 percent of all TV food ads in Canada, the United States and Germany. And it isn't just TV commercials—marketing can include product packaging with superheroes and characters popular with kids as well as video games and internet and magazine and other advertisements. The study also found that younger children may be particularly vulnerable to the messages in these ads. Given the fact that obesity rates among children have been increasing worldwide, it's imperative that we examine factors, such as marketing of junk foods to kids, that may be contributing to the problem. The researchers say these findings are particularly important considering recent studies revealing that children are exposed to an average of five food ads per hour, with unhealthy foods accounting for greater than 80 per cent of all televised food advertisements in Canada, the United States and Germany. Reduce screen time. One of the most effective ways to reduce your child's exposure to TV commercials is to reduce the amount of time he spends in front of the TV. And cutting down screen time is linked with a number of additional benefits, including better health and even improved grades. Eat healthy dinners together. As with cutting back screen time, eating healthy foods together has benefits beyond the immediate one of reducing exposure to junk food ads. Not only will kids learn to make healthier food choices, but you'll spend more time communicating and strengthening your relationship with your kids. In fact, studies have shown that regular family dinners can improve kids' nutrition and health; strengthen their mental, social, and emotional skills; and even help them do better in school. Talk about the messages in the ads, and what they're trying to do. Knowledge is power, and even young school-age kids can begin to develop the skills to think about what an ad is trying to sell and what may be a lie or exaggeration. If you begin to teach them how to be educated consumers at a young age, they're more likely to have the ability to analyze ads and not be as easily swayed as they get older. Look at the other factors that may make kids unhealthy. If your kids are spending too much time on sedentary activities, try to get more exercise into their day. Go outside and play with your kids. "Progressive improvements in the standard of living have led to over-nutrition and a sedentary lifestyle, which has resulted in positive energy balance and an increase in overweight and obesity," says Dr. Sadeghirad. "Advertising of unhealthy foods and beverages is but one factor that may contribute to a positive energy balance and eventual downstream overweight and obesity issues."